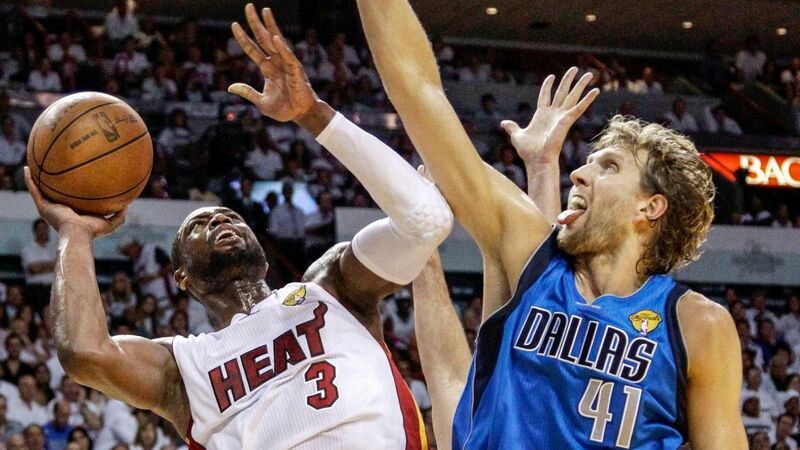 DALLAS -- Retiring Miami Heat legend Dwyane Wade missed Wednesday morning's shootaround due to an illness, but said prior to the game that he's "gonna go" for his final appearance in Dallas, where he has been considered a villain since helping defeat the Mavericks in the 2006 Finals. Mavericks legend Dirk Nowitzki , who is undecided about whether he will retire after this season, described his relationship with Wade as "frosty" for years. That is in large part due to comments Wade made after the 2006 Finals criticizing Nowitzki's leadership, a response to the complaining in Dallas about the officiating. Wade has swapped jerseys with an opponent after games this season, part of the pomp and circumstance of the farewell tour he has dubbed #OneLastDance. "Of course," said Nowitzki, who added that Wade deserves a warm reception during his last Dallas visit "for what he's done for the league."